NVND-2019 encourages attendees to gain further exposure by presenting their work in the poster sessions. To secure a poster board and inclusion in the conference materials, your abstract must be submitted, approved and your registration paid in full by April 23, 2019. Posters will be limited to ONE poster per person. Three poster awards will be given at the conference for a cash prize for best poster and announced during the last day of the conference. Present your poster at NVND and be automatically entered to win. Winner will be chosen based on visual appearance of poster, clarity of concepts presented, audience engagement, technology advances and implications of the work presented. Please refer to this visualization of the poster panels to be used during the conference. The display area for each poster on the panel of the poster board is 1 m wide by 1 m high. This area will be allocated for each poster. Please ensure that your poster does not exceed this size. It is recommended that you leave a margin of at least 3 inches (7.5 cm) around the poster. 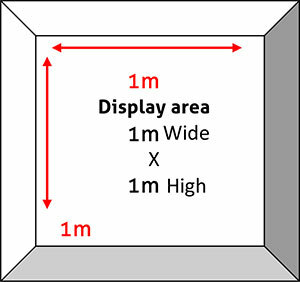 When preparing your poster and considering how much of your display will be visible at eye-level, please bear in mind that panels will be mounted on legs/stands. A numbered panel will be allocated for each poster (separate from the abstract number you have been assigned) and staff will be on hand at the conference to provide your poster panel number. Poster cards with number will be placed on the poster hall before one hour of the session start. Please ensure that you stand by your poster(s) during your session for discussion and questions. You will be notified of your allocated session shortly along with set up and tear down times. Each author will be provided with a 1-meter x 1-meter poster presenting area and mounting pins / stick-tape. Participants are responsible for mounting their posters during the presentation and in removing them as soon as the session ends. Posters left up past that time will be discarded. A poster should be self-contained and self-explanatory, allowing different viewers to proceed on their own while the author is free to supplement or discuss particular points raised in inquiry. Presentations should be kept simple and clear and a mixture of text and graphics is recommended. Remember that the viewer, not the author, as in the case of slide presentations, determines the time spent at each poster. Materials should be mounted on coloured poster paper or board. Use matt finish rather than glossy paper. Arrange materials in columns rather than rows. It is easier for viewers to scan a poster by moving along it rather than by zigzagging back and forth in front of it. An introduction should be placed at the upper left and a conclusion at the lower right. The abstract does not need to be presented. Figures should be designed to be viewed from a distance and should use clear, visible graphics and large type. Each figure or table should have a heading of one or two lines. Additional essential information should be provided below in a legend. Photographs should have good contrast, sharp focus and, if necessary, an indication of scale. Minimise narrative. Use large type in short, separated paragraphs. Numbered or bulleted lists are effective ways to convey a series of points. Do not set entire paragraphs in uppercase or boldface type. Titles and captions should be short and easy to read, in a sans serif font for preference. Use large lettering as this means a number of people can read the poster from a distance without overcrowding. Remember to caption your poster with the abstract title, authors names and affiliations.